Primary Care | Suburban Hospital, Bethesda, Md. Many of the region's top primary and specialty care doctors practice or have hospital privileges at Suburban. To find a physician who meets your needs, see our primary care physicians. Please note that only physicians who participate in the PhysicianMatch referral program are included in this directory. This information is provided online for your convenience but may not answer all of your questions about these physicians. For more information, please call our referral line at 1-855-JHM-3939 Monday through Friday or contact the doctor's office directly. Johns Hopkins Community Physicians is a network of 39 primary and specialty care outpatient sites spanning Washington, D.C., Baltimore City and 10 counties, including Montgomery County. In addition to primary care, JHCP provides specialty care in several areas, including obstetrics and gynecology, gastroenterology, podiatry and neurology. Learn more about Johns Hopkins Community Physicians. Ask the Expert: Should You Get the Shingles Vaccine? Drs. 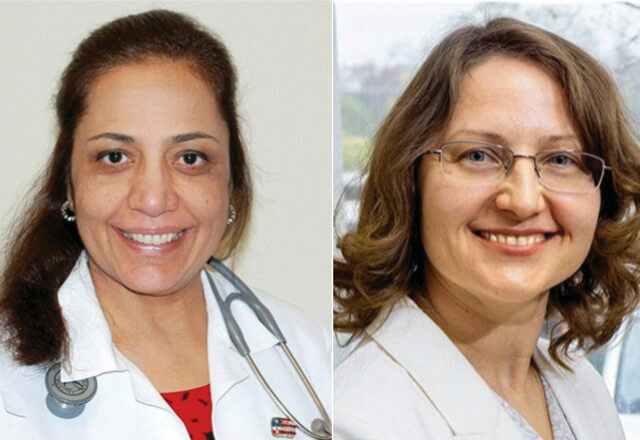 Alpana Goswami and Janna Lachtchinina, board certified internists, discuss the facts about shingles and the benefits of the shingles vaccine.